Former President Richard Nixon assumed his historic recognition of China would lead to the democratization of China’s domestic economic and political life, and the country’s integration into the liberal international order. Years later, former President Barack Obama’s “pivot” to China recognized this assumption was wrong. His initial response was to negotiate the Trans-Pacific Partnership with 11 other Pacific rim countries, but not China. Now, China is a dominant economic, political and military player on the world stage. Its leader, Xi Jinping, recently solidified his support to become the country’s most powerful leader since Mao Zedong. Three days after becoming president, Donald Trump withdrew from the Trans-Pacific Partnership containment policy. Ji Young Choi, an associate professor in Ohio Wesleyan’s Department of Politics and Government, will explore the relationship between China and the U.S. in the last of the 2018 Great Decisions community series on foreign policy. The session will be held at noon at the William Street United Methodist Church, 28 W. William St., Delaware. Choi completed his doctorate at Purdue University. 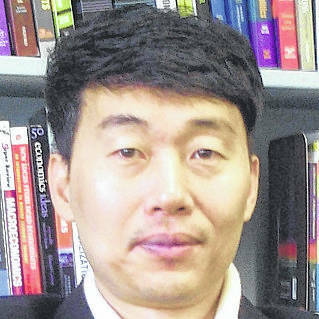 A native of South Korea, Choi earned a bachelor’s degree in philosophy at Yonsei University and his master of international studies degree with top honors at Sogang University, both in Seoul. He also holds a master’s degree in political science from the University of Kansas. Choi researches the rise and fall of nations or great powers, the politics of economic globalization, global financial governance, East Asian regionalism, the rise of China, and Korean politics and economy.